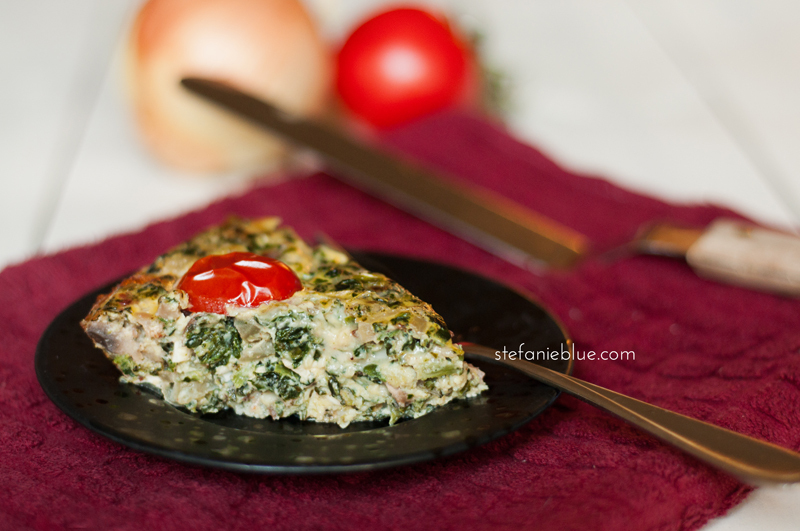 It’s not too often that I blog my food photos, but this frittata was a first time experience. I was so excited when it all came together that I had to set up a quick lil’ photoshoot! 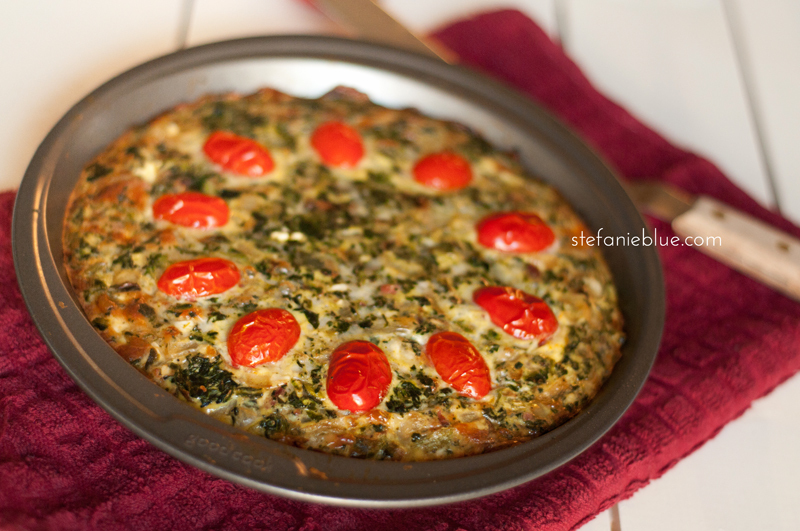 The frittata, a crustless quiche, was delish! I went “off script” drawing in ideas from a couple recipes I was looking at – and with what I had available. 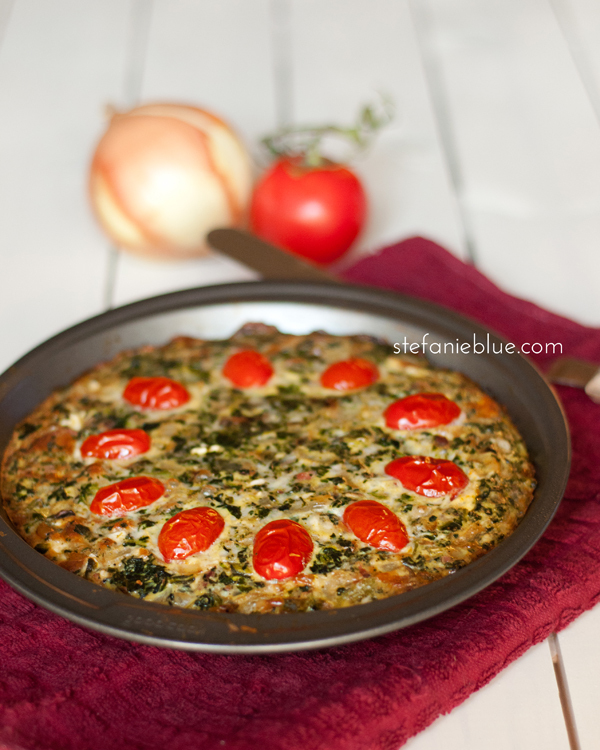 I loaded it with mushrooms, onions, spinach, and a touch of uncured bacon. I added the sugar plum tomatoes (sliced in half) almost as an afterthought. Love the way they dressed it up! I think I’m ready for another slice!